Don't you know that taking a hot, steamy bath isn't just for getting clean? 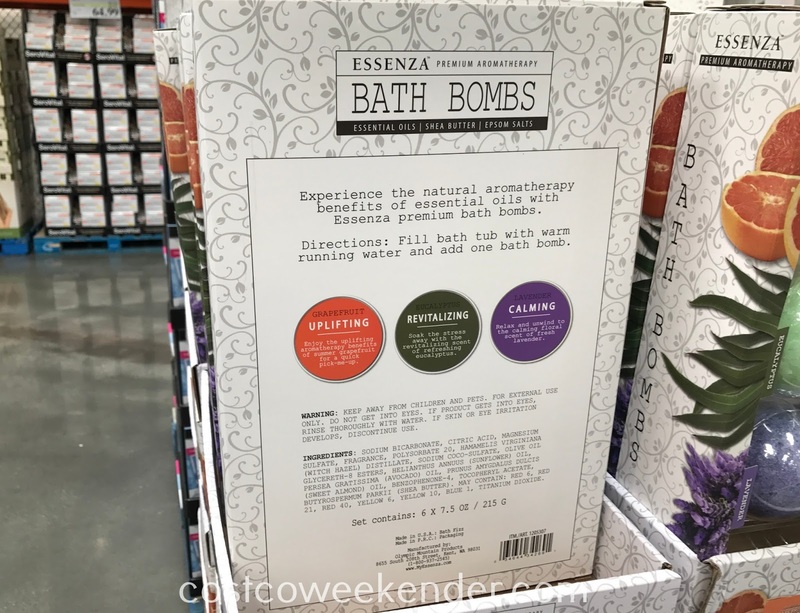 If you're into baths, then you know that a good bath can be relaxing and quite therapeutic. Doesn't that just sound nice after a long day of work? 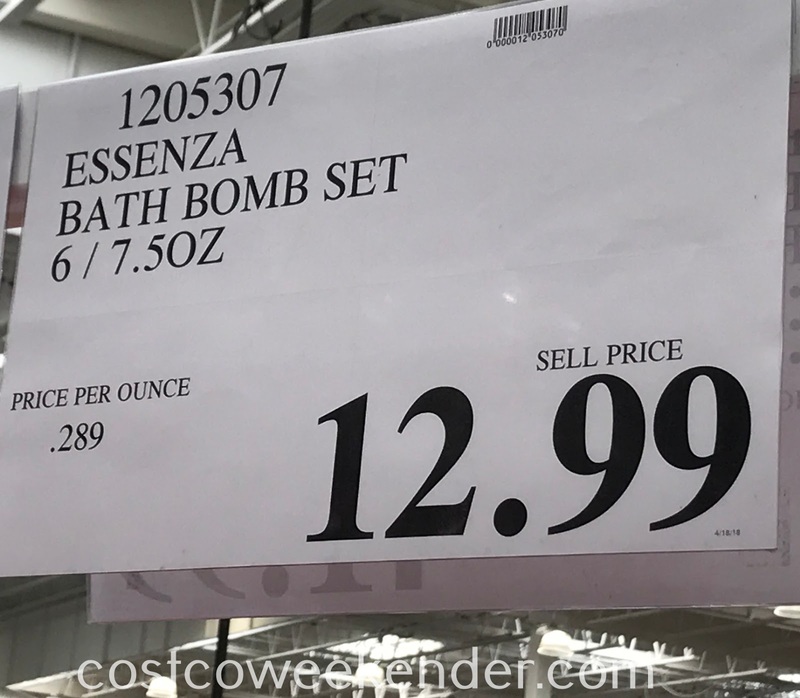 It's a good thing Costco has Essenza Bath Bombs. 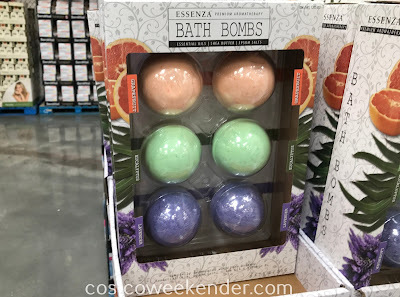 These bath bombs will help you relieve that stress and ease the tension from your daily life. It comes in a pack of 6 with 3 flavors: lavender, eucalyptus, and grapefruit. 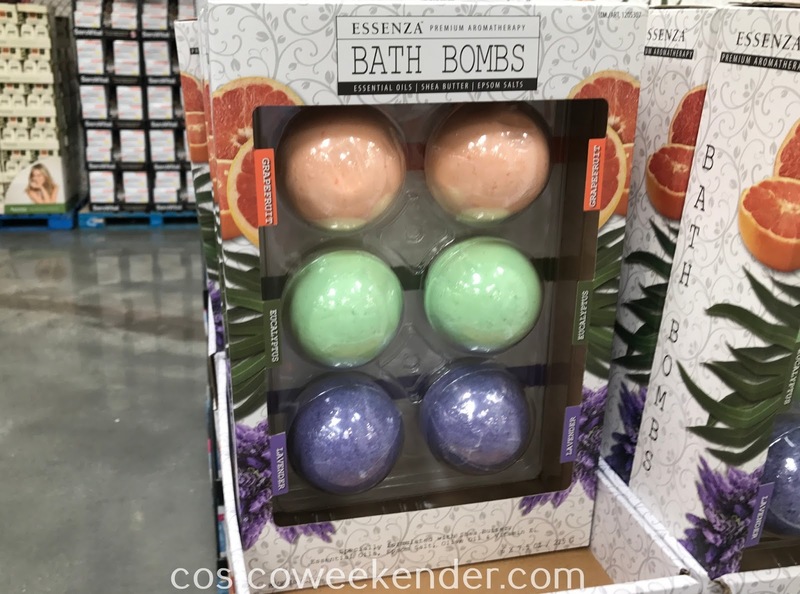 They're similar to the bath bombs you would get at Bath and Body Works. 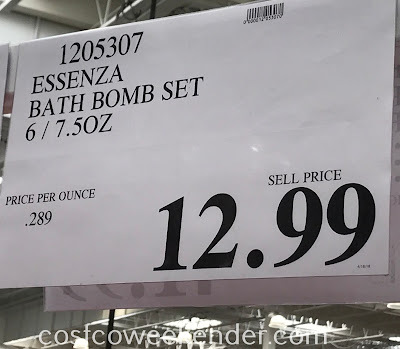 These bath bombs will make your baths that much better and will make bath time fun again. Specially formulated with Shea Buttery Essential Oils, Epsom Salt, Olive Oil & Vitamin E. Experience the natural aromatherapy benefits of essential oils with Essenza premium bath bombs. Enjoy the uplifting aromatherapy benefits of summer grapefruit for a quick pick-me-up. Soak the stress away with revitalizing scent of refreshing eucalyptus. Relax and unwind to the calming floral scent of fresh lavender.